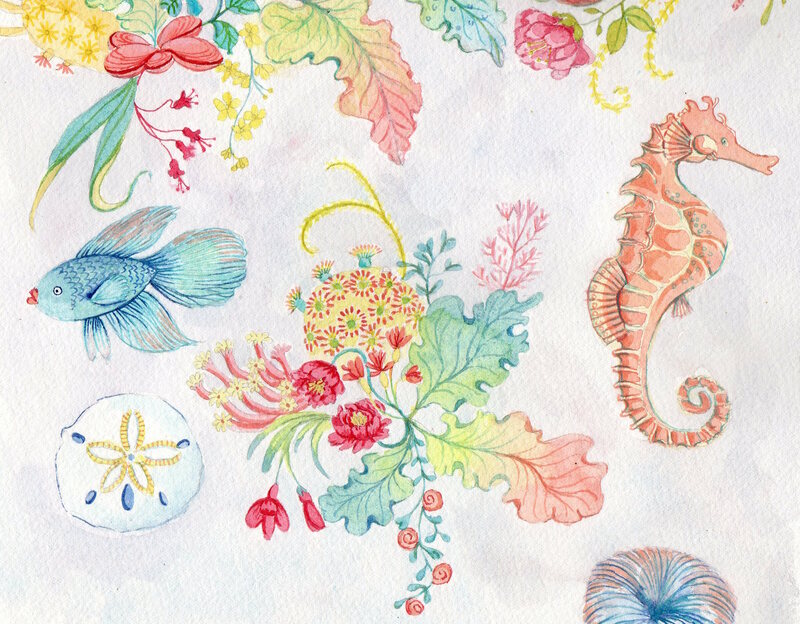 Blog - Sea Florals: The Making Of. 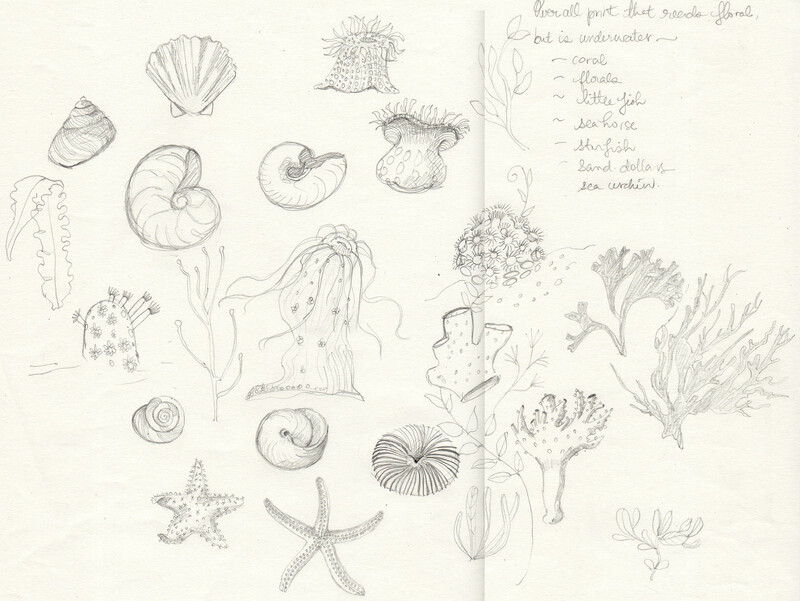 Sea Florals: The Making Of. Have you ever wondered how we create our prints? In addition to creating prints and designs in house, we also commission several artists from around the globe to create unique pieces of art that we transfer onto our clothing. Each of these women (who are mostly Moms) brings her own unique perspective to enhance our brand. Every print is carefully crafted with the intention of telling a story and inspiring you and your little one. Therese Cilia from Strawberry Snails is one of our (favorite!) contributing artists. Below she shares a glimpse into the process, from her perspective. You can read more about Therese and all our contributing artists here. 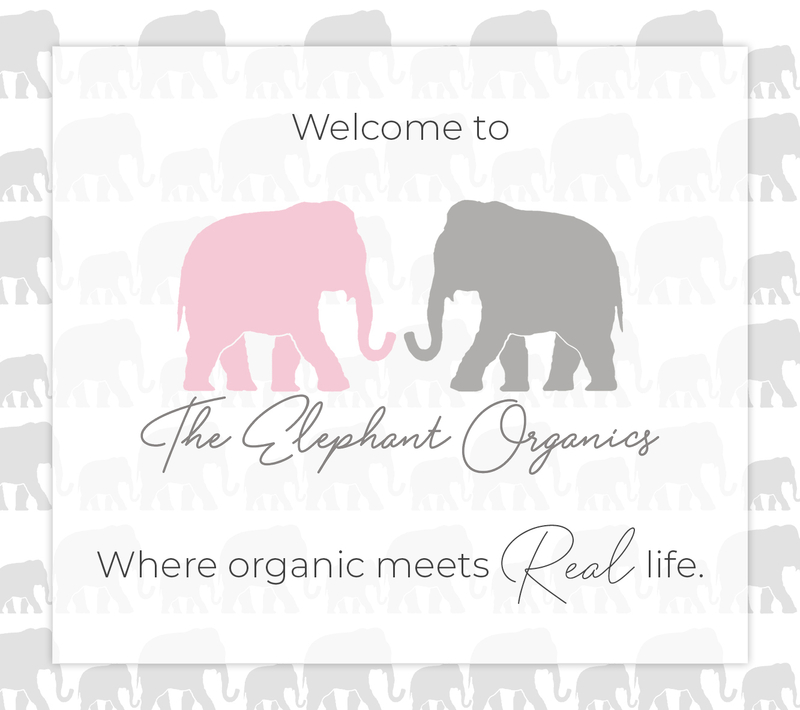 My name is Therese and I’m a freelance illustrator here at Pink Elephant Organics. 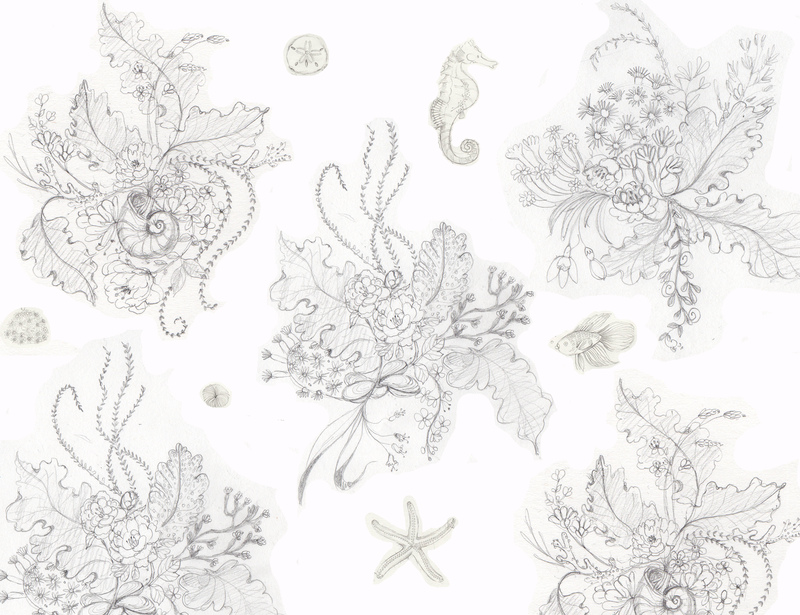 Today I’m giving you a behind-the-scenes look on the creative process for Sea Florals, a pattern in the new Summer collection. 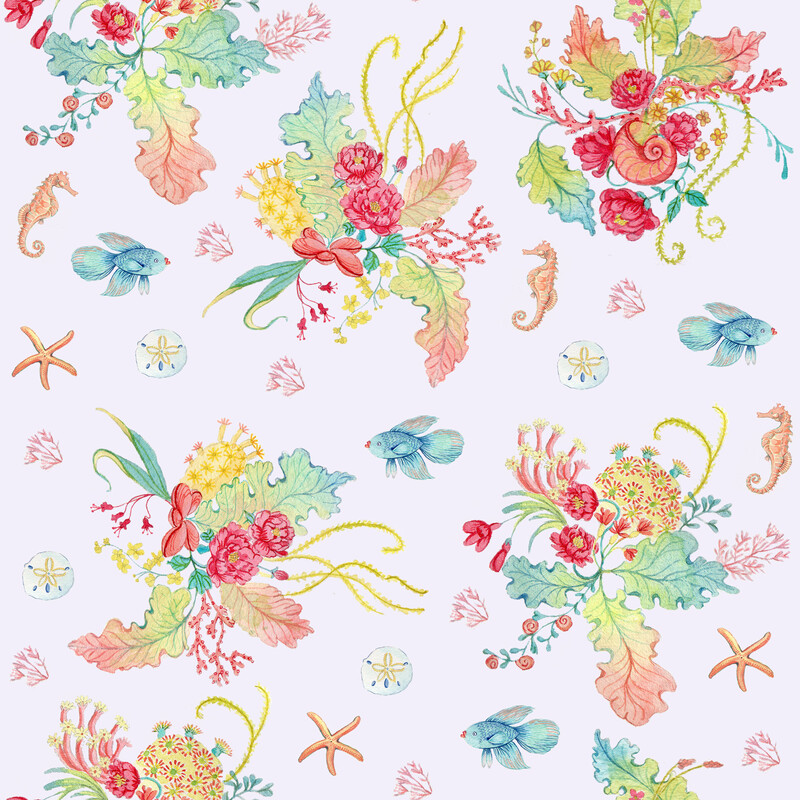 Sea Floral — an over-all print that reads floral, but is an underwater scene. 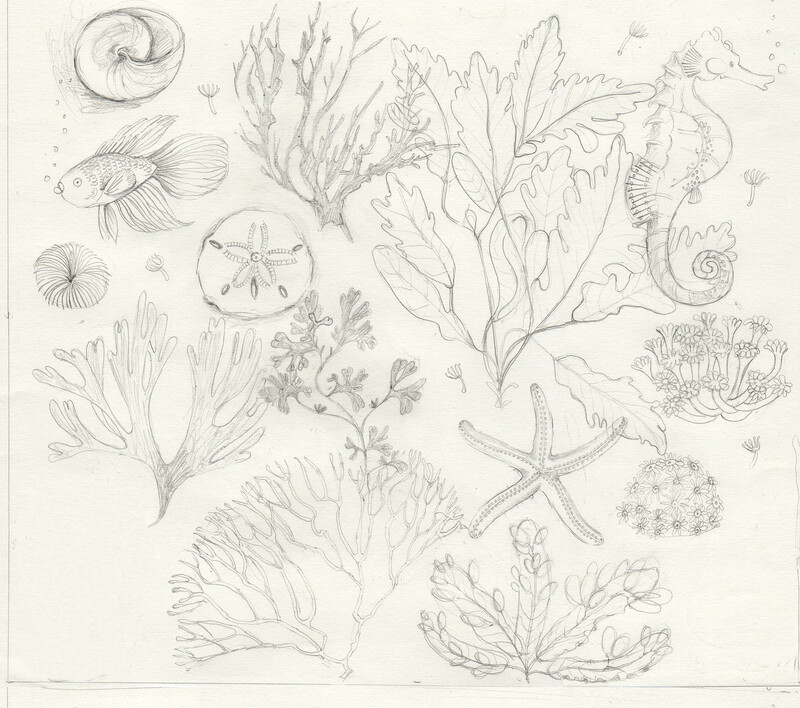 Elements include coral, florals, little fish, sea horses, and sand dollars. Included with the brief is the colour card—a key detail that sets the tone of the whole piece. The colour card ensures a cohesive line, matching exactly with the rest of the delivery and I use it to not only match my paint colours during the watercolour stage, but also as inspiration before I begin sketching. Before I even start drawing, I spend some time with the concept, letting it incubate and materialize in my head. I’m visualizing it, imagining the colour scheme, imagining what kind of pattern it is, and imagining the type of clothing it will be used for. I do this in an indirect way while doing other things, like walking the dog or preparing dinner, the moment before waking or just before dreaming. When I feel confident with the visuals and have a clear path in my head about how to go about it, I begin sketching. For Sea Florals, I was totally in my element. I think a good client/illustrator relationship is so important because when you really understand each other’s aesthetic and communication is easy, the work can really sing! In a way, the Creative Director is like a curator—she knows which designs are going to work with certain artists. 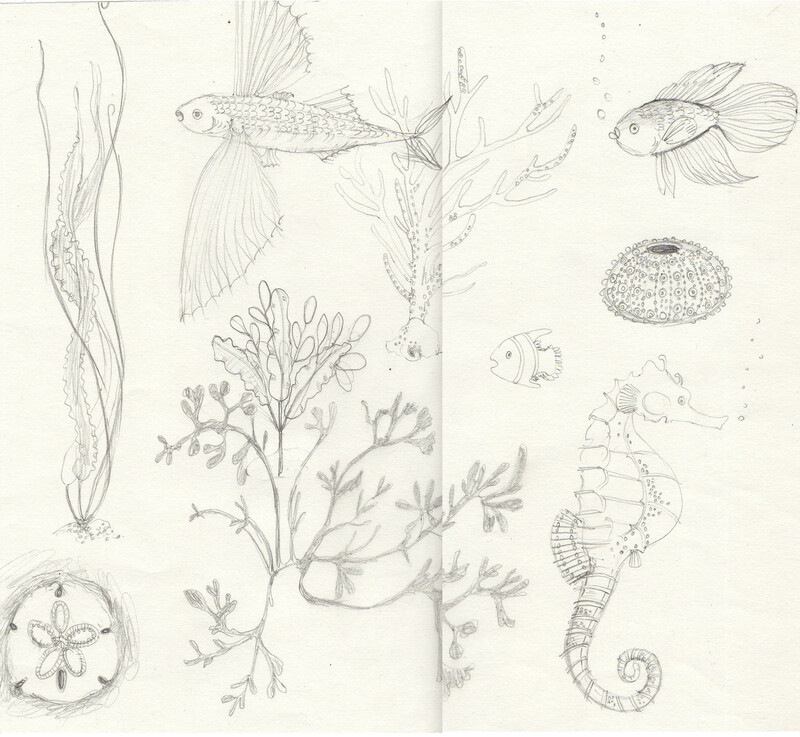 I was thrilled to get this assignment, as underwater scenes are pure joy for me to draw. I start to build a visual language of everything "underwater" related, always keeping in mind the look and feel of what Courtney has in mind. Now that I have lots of imagery to work with, I start to weed out which elements I think are best suited for the print and place them together. 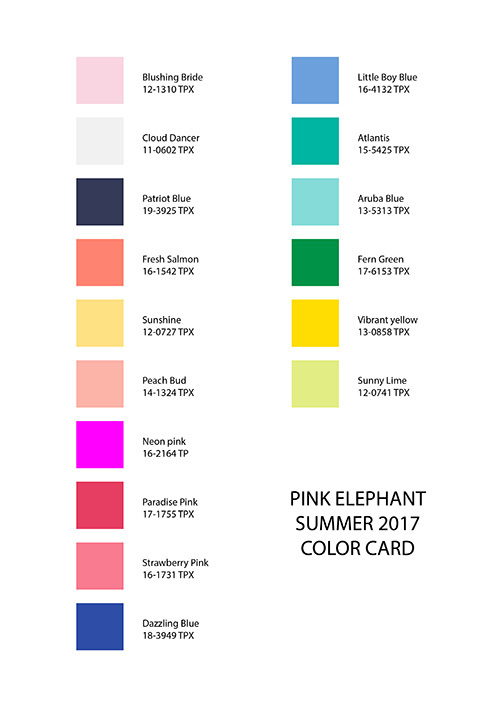 We’re looking for soft and pretty but still whimsical and I’m also thinking about how the colours of these elements will be in keeping with the colour card. 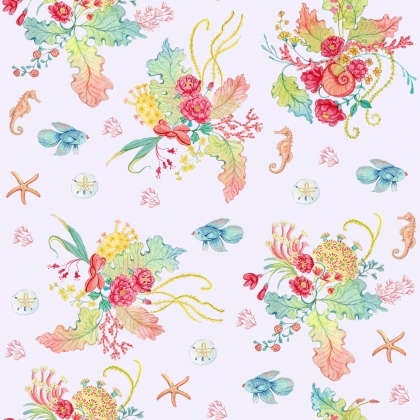 While we loved the seahorse and shells, we felt that this was reading more "coral" than "floral" so I went back to the drawing board and did some research on underwater floral imagery. 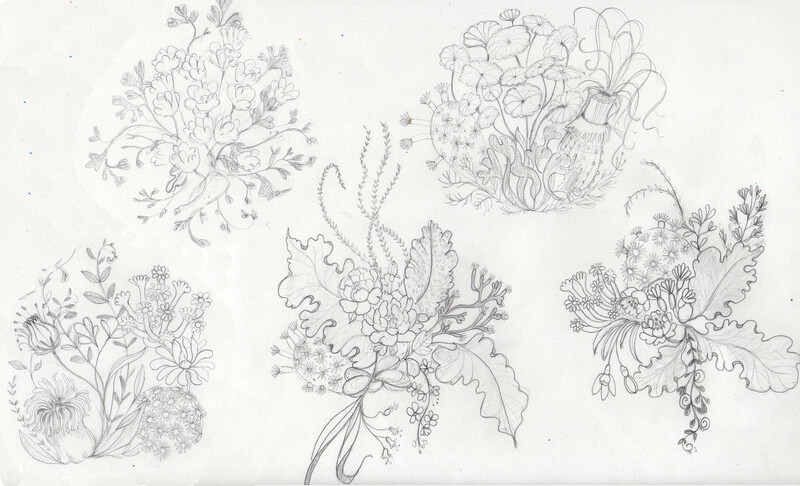 It was important to me for the florals to have a lot of movement, just as you would see them underwater. It was also important to make sure the bouquets didn’t have a "right way" to view them since they would be repeating upside-down and sideways in all different directions. We also needed some negative space for the clothing pieces, so we decided on drawing three large clusters of “floral”, that would repeat in all directions. Just as before, I drew several ideas and chose the ones I thought would work best. Testing the imagery in Photoshop is a great way to get a clear idea of how the repeat will work, before going to colour. Here is my concept design to Courtney. We loved it! Now to paint all the elements! Once everything is painted, I scan them in and erase all the watercolour paper, so we have a clean image to put on a flat, background colour. I work on arranging the half-drop repeat pattern in Photoshop. This is a tricky balance of making sure everything is evenly spaced and continuous, but has enough variation for the eye to travel through. Designer Katie Ryder and I work together to make sure the pattern is all ready to go for the next stage in turning the artwork into a lovely clothing piece for all Pink Elephant girls! Thanks for having me, Pink Elephant! where you can view her portfolio, browse her blog, or shop her children’s books, fine art prints, stationery and textiles.